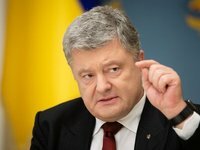 The candidate for the presidency of Ukraine, incumbent head of state Petro Poroshenko has called frivolous the appeal of his opponent Volodymyr Zelensky to leader of the Batkivschyna party Yulia Tymoshenko with the proposal to be a moderator of the candidates' debates in the second round of presidential elections, and also regarded it as disrespect to her and her voters. "Debates are not a show. I believe that such disparaging and frivolous treatment is disrespect for the politician, Yulia Tymoshenko, who took third place. And, by the way, disrespect for her voters, because more than 2.5 million citizens voted for Yulia Volodymyrivna," Poroshenko told journalists in Kyiv.